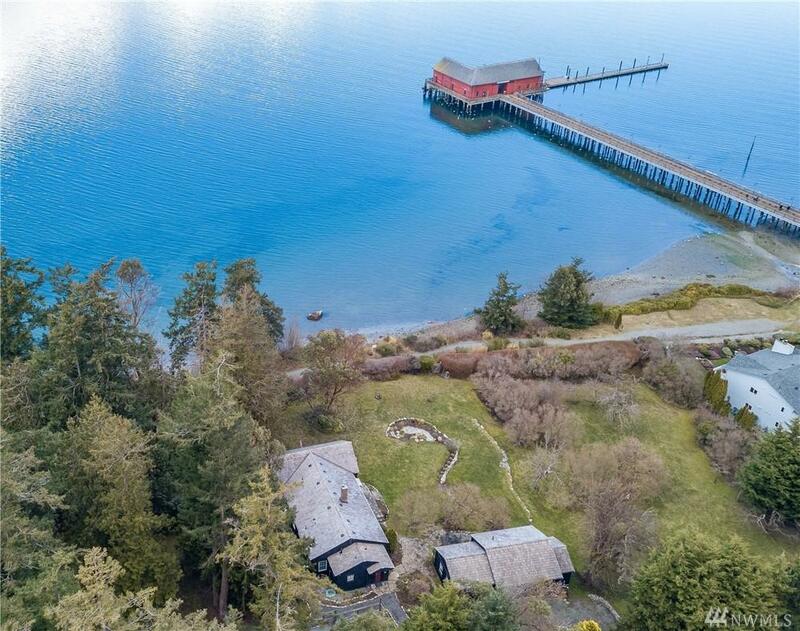 Imagine...owning a piece of waterfront history on Penn Cove. 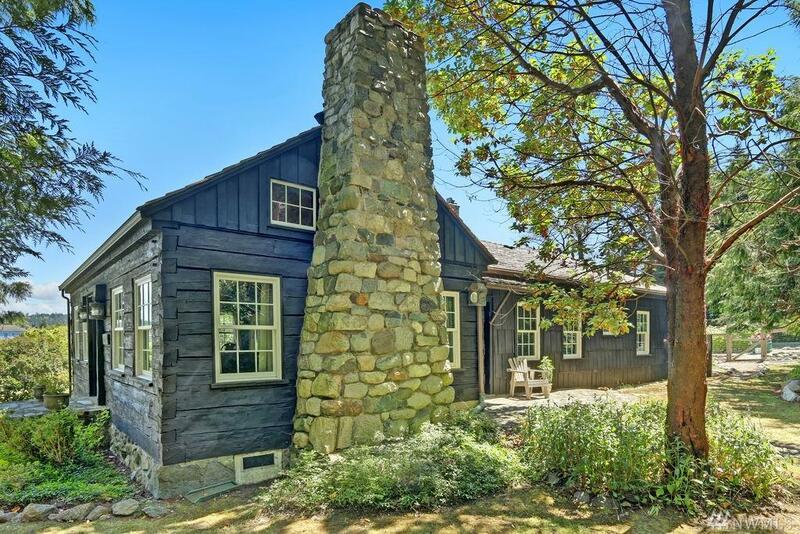 This hand-hewn log home with dovetail construction was built in 1852, moved to this site in 1928 and sited to enjoy spectacular views of Penn Cove and Mt. Baker. 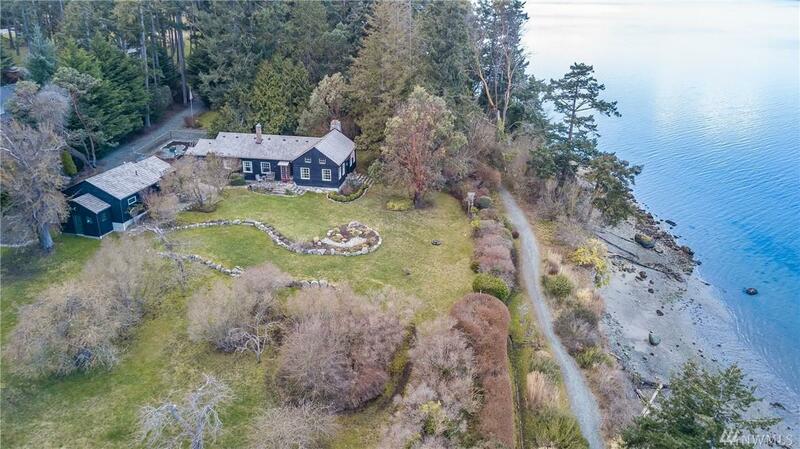 Originally named 'Fairhaven', the 1.58 acres include 2 extra building parcels. Main building has 2 BR/2 BA. 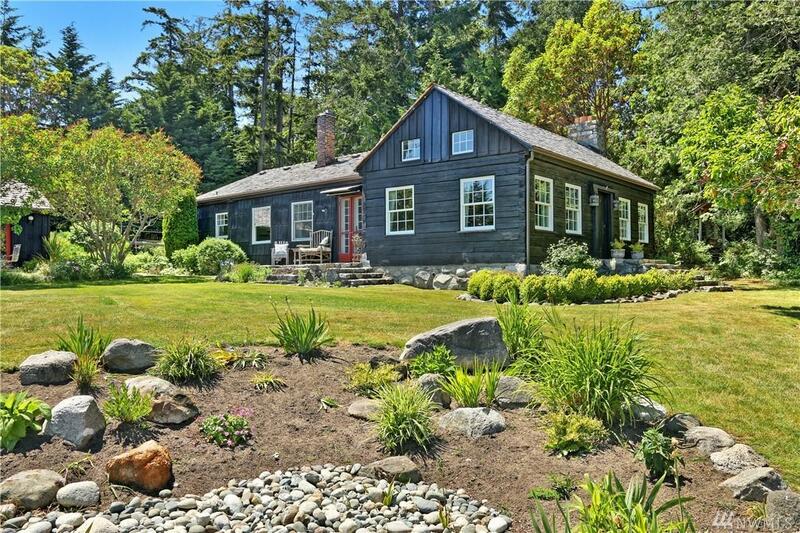 Carriage house includes family room/BR, full bath, kitchenette, garage (workshop, storage) and potting shed. Sq ft is main house only. Family room/BR add 265 ft. approx.